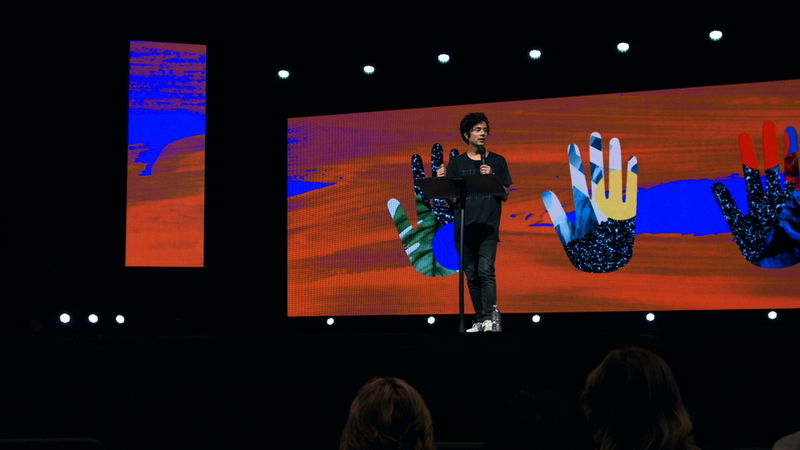 Chris Quilala shares his story about encountering the Presence of God as a young boy. He teaches us about the purpose of worship leading, leading to serve others, and other practical tips for worship leading. Why do we lead worship? It’s good to ask yourself why you are doing what you do. Chris grew up at Bethel and his parents were Christians. Chris saw Bethel go from what it was to what it has become now. He remembers worship lasting for 20 minutes, and everything was like clockwork. If you stepped into the isle you were asked to step back into your seat. Renewal started breaking out in Toronto and other parts of the state, and there was a Vineyard church in Redding where people were encountering God. Chris remembers his parents leaving church right after the service on Sunday and going to the Vineyard church to get in line for prayer. He felt the presence of God moving for the first time, and something awakened in him during worship. Chris noticed as a young boy that something happened to people during worship. At church one night, Chris asked God for freedom in worship, and then he decided to lift his hands. He felt God’s presence so strongly it felt like electricity in his body. Chris knew in that moment, when he felt God’s love and power, that he wanted to be a part of worship. Jesus Culture has the privilege of leading all around the world, and they always challenge each other to have people leave talking about Jesus, not the lights or the music. Chris still gets nervous leading worship, but he gives it to God as a sacrifice. “I don’t want someone else to miss out on an encounter with the Lord just because I wasn’t faithful with what was put in front of me.” Never be afraid to step out even though it may feel uncomfortable. When Jesus Culture was recording the song “Show Me Your Glory” in Chicago, a man in the crowd had his shoulder healed when he lifted his hands to worship. God is doing things, and sometimes it feels mundane and routine, but challenge yourself every time you step up to lead to ask yourself “Why do I do this?” Stir up that thankfulness and remind yourself why you do what you do. It’s really tempting for worship leaders to not even show up to sound check. Know your guitar player, monitor guy, and sound guy. Be the first one to show up, be the one who is cleaning up the water bottles afterwards. We miss opportunities if we aren’t in the moment, and we are just focused on what we are doing. We forget to say hello to the sound guy and monitor guy. In Jesus Culture they ask each other, “What do we want our culture to look like on our worship team? What environment do I want to live in?” We want a team that is willing to serve, it’s about the person next to me, it’s not about my moment or my opportunity. Chris learned from Brian and Jenn Johnson how to wait on God during a worship set while they were leading. As you grow in your leadership, you learn to grow in those moments. Maybe it’s not always about a spontaneous song, but a song that is prophetic in the moment. Chris likes to find hooks or tags to sing. It is still a prophetic moment, when you pull out a song that everyone knows. Chris sometimes puts a couple of extra songs in the setlist so the band is ready if he decides to tag something or skip a song. Teach your team the Number System. These things help a worship leader and set up a moment. We rehearse so that when we get on stage, whatever happens, happens. Have some core values and standards for people on your worship team. Clear communication and being upfront goes a long way within a worship community. As worship leaders, it’s our responsibility as a team to model that standard. We need to show up on time and know our songs. It’s great to have plans, but we prepare to go off the map. We arrange a song in a way so that when Kim Walker gets to a moment in a song, Kim can do whatever she wants. Find space, maybe even get rid of a song, you can leave space to find what God is saying. Get out there and talk to people because it gives you a sense of what you need to release that day. Realize it’s about pointing people to Jesus, and that takes a lot of pressure off of us. Often times we feel the need to rate our value or our worship set based on the response of the congregation. Chris thought coming from Bethel Church, that it would be easy to build a culture of worship, and people would just come. They have had to teach the church, and build it brick by brick. They have to show up every sunday no matter how they feel. For some people to even be in the room is a big step. Don’t rate the service based on the outward expression of people. Don’t ever judge someone else’s freedom. Wherever you’re at, you’re building a culture of worship brick by brick. Be faithful to steward that environment, and to hosting the presence of the Lord.